A life without Riesling is possible, but pointless? The total crop is much lower than first anticipated, only 8.3 million hectolitres, whilst the Mosel valley suffered the most, losing more than 30% of the harvest due to widespread Botrytis, indeed to such an extent that I had not experienced for many decades. However, as a positive aspect, the grapes had all reached physiological ripeness, so no sour rot was dedected. The uncertain weather with decreasing crop potential did not allow the growers to risk waiting for any high-quality BA or TBA. Initial tastings of 2013 wines are revealing pleasant surprises with expressive character, firm structure, fine ripe aromatics. 21st February 2014: too frustrated and sad to even post news so far about the failure of the 2013 Eiswein crop. Great for our heating bill with no cold weather, but the grapes just rotted away in January. Over the past 40 years of my experience, this has only happened a couple of times. Not necessarily global warming but certainly global change of weather, warm in Europe and cold in the the US. We shall try again with the 2014 harvest. Perhaps then cold in Europe, warm in the US? 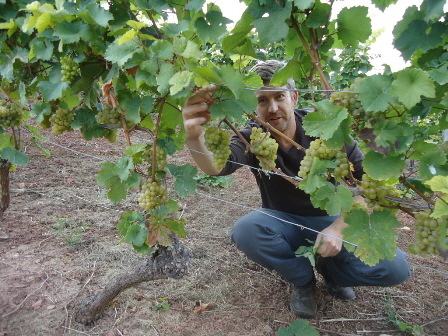 6th November 2013: Harvest 2013: that warm weather mid October came at the wrong time, Riesling grapes did not approve! 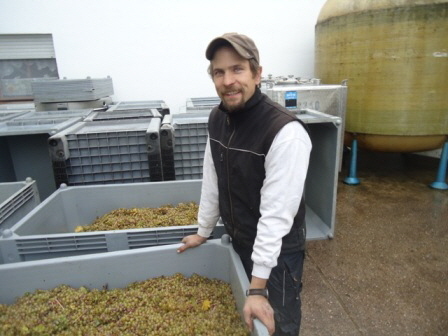 Picking was completed last week in the Mosel valleys with disappointing yields much lower than anticipated. At least the quality will keep us fairly happy. 24th October 2013: Harvest 2013: The weather changed since last Friday (18th October), becoming too warm with temperatures up to a very unusual 20C (64F), warm nights, and too much rainfall on Sunday which has induced. widespread Noble mould at a rate not seen for decades, especially in the Mosel valley where the Riesling harvest only started last week. The crop will now be much smaller than first anticipated, but we can now expect a higher percentage of Spätlese in the Mosel valley areas. 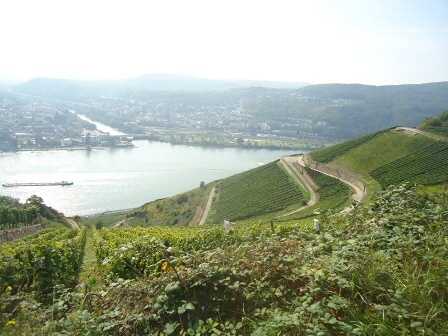 The harvest in the Rhine valley areas has almost been completed today. Due to such unusual warmth and spreading of mould, the prospects for any Riesling Eiswein have been completely decimated in all areas. 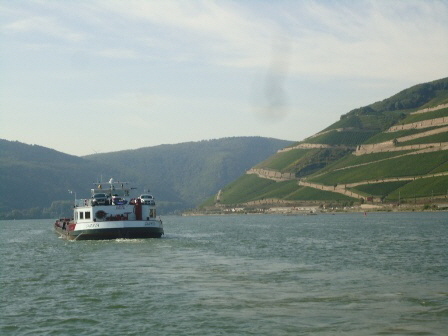 16th October 2013: Harvesting of Riesling has started this week, and the weather is improving with dry weather forecasted to stay. Cold temperatures early October have helped keep grapes healthy, acidity levels have come down and ripening process for fruit aromatics enhanced, Riesling now reaching good physiological ripeness (brown pips), yields average to low, promising crisp and elegant qualities, a fine Kabinett vintage in the making. Pinot Noir also now being harvested. 1st October 2013: A later harvest than last year, but hopes are rising for a good vintage. The September weather brought some much-needed rain, and fine dry & sunny weather has prevailed since 20th September. 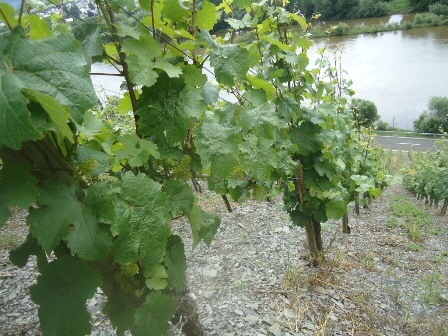 Riesling ought to reach physiological ripeness by mid October. Picking of early-ripening varietals started 24th September. We are hoping for an average sized total crop, and optimistic about the quality with 120 days of time between flowering and harvest, as long as the weather conditions remain favourable in October. 30th July 2013: The May weather will be remembered for terrible flooding in Germany, much too wet, too cool, followed by a miserable June which resulted in a later than normal flowering, but July has brought smiles throughout the entire month. Glorious hot Summer weather, and thanks to the high moisture content of the soil, the vines have flourished, and growth is now back on shedule for a normal harvest time. Severe hail damage 20th June struck Lieser and Müllheim near Bernkastel, but missed the Brauneberg Juffer. Our long winter ended 14th April with Summer temperatures. No damage to the vines, and we have enough time for nature to make amends. Such a long, cold and snowy Winter (2013) has not been experienced in Germany for many decades, but all thanks to Global warming! Yes, apparently due to the melting of the ice cap, a low depression stuck over Sweden, sending arctic air to Europe. 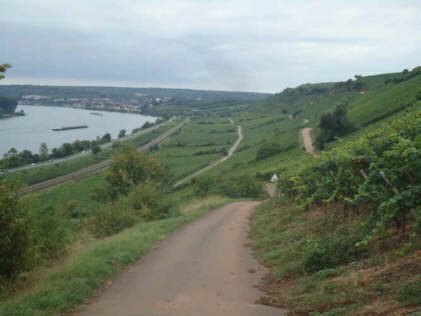 the Roter Hang, the red slope between Nackenheim and Nierstein along the Rhine, ideal for Riesling (2nd Oct. 2013).